On August 12, 2017, 32-year-old Heather Heyer stood in a crowd of people who gathered to protest a white nationalist rally in Charlottesville, Virginia, on the outskirts of Appalachia. At around 1:40 that afternoon, a car drove into the crowd, killing Heyer and injuring at least a dozen others. The 21-year-old driver, James Alex Fields Jr., a white Ohio man, was charged with her murder and the injuries of those who had gathered to protest the white nationalist rally Fields had participated in the night before, on the campus of the University of Virginia, and the larger rally scheduled to take place in a city park that afternoon. 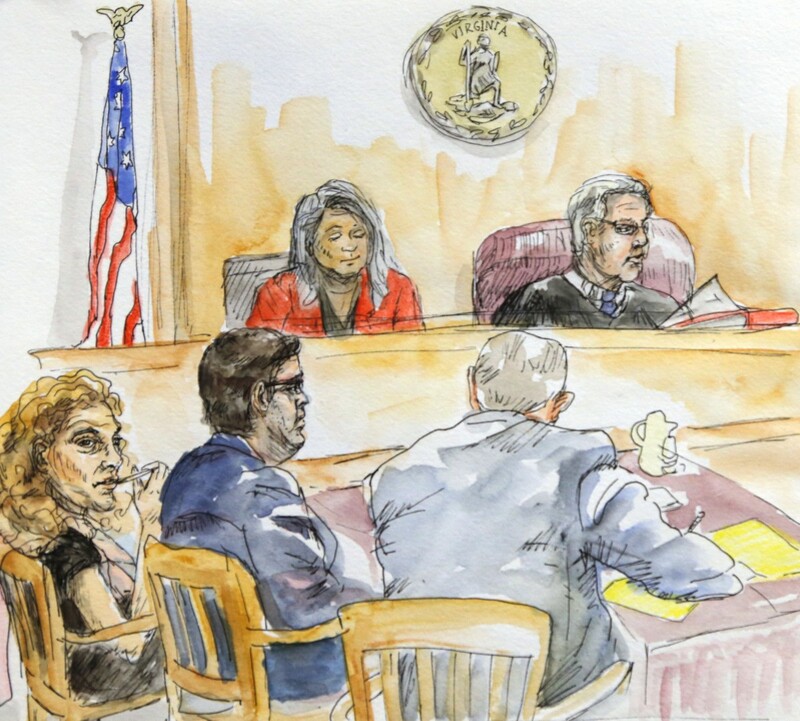 Fields’ state trial began last week in Charlottesville with jury selection and opening statements, during which his attorney didn’t deny that Fields drove his car into the crowd, but said Fields feared for his own safety and believed he was acting in self-defense. If found guilty, Fields could spend the rest of his life in prison. In addition to the state charges, though, Fields was charged in a federal indictment with several hate crimes. A guilty verdict for the federal crimes could mean a death sentence. Heyer’s 2017 murder was one of 193 hate crimes committed in Virginia in 2017, according to data from the Federal Bureau of Investigations, up from 122 the year before. Virginia isn’t alone in this upward trend. Between 2016 and 2017, hate crimes rose by 11 percent in the 13 states that contain counties that make up the Appalachian region. Nationally, their occurrence increased by 17 percent. Jim Nolan, a sociology professor at West Virginia University who also spent five years leading the data team at the FBI that compiles the annual Hate Crime Statistics report, said hate crimes have been declining since the 2000s, but in 2016, monthly reports show a reverse in the trend, specifically in November of that year. “November 2016 was the highest November monthly total [recorded] since the beginning of hate crimes data collection,” Nolan said. There are correlations, according to Nolan, between current events and the trends in the data collected by the FBI, and he believes the rhetoric around the 2016 election led to the November spike. More than 2,000 instances of hate occurred in Appalachian states last year, with the highest number of crimes reported in the most populous states that have counties in the region, New York, Kentucky and Ohio. Nationally, anti-black, anti-gay and anti-Jewish acts occur at the highest rates, according to the report. Anti-Semitic hate crimes increased by 57 percent between 2016 and 2017 and while Nolan said he can’t pinpoint an exact reason why, he believes it’s linked to the resurgence of groups like the ones who rallied in Charlottesville. Although the latest FBI report is a count of crimes that occurred last year, national media coverage in recent months seems to show that the trend is continuing in 2018. Just this fall, the nation experienced the shooting of an African American elderly couple in Louisville, Kentucky. The accused shooter had reportedly tried to enter a black church, but was unable to get access before entering the grocery store where the couple was shopping. In October, Pittsburgh, Pennsylvania, was the site of the worst anti-semitic attack in decades, when 11 members of the Tree of Life Synagogue were shot during a Saturday service. Both of the defendants in these separate incidents, both white men, were charged with federal hate crimes. Nearly 1,000 more law enforcement agencies participated in the 2017 report than the year before, but Nolan does not believe that makes the trend captured by the data unreliable. A separate study from California State University at San Bernardino found hate crimes had increased by 18 percent in the nation’s nine largest cities, which Nolan said supports the overall trend. West Virginia Republican Party Day or “GOP Day” at the Capitol on Friday, March 1, took an abrupt turn when the display of a poster in the rotunda connecting Muslim Congresswoman Rep. Ilhan Omar (D-Minn.) to the terrorist attacks that occurred on September 11, 2001 led to one person resigning their position, leaving another injured following a physical altercation. 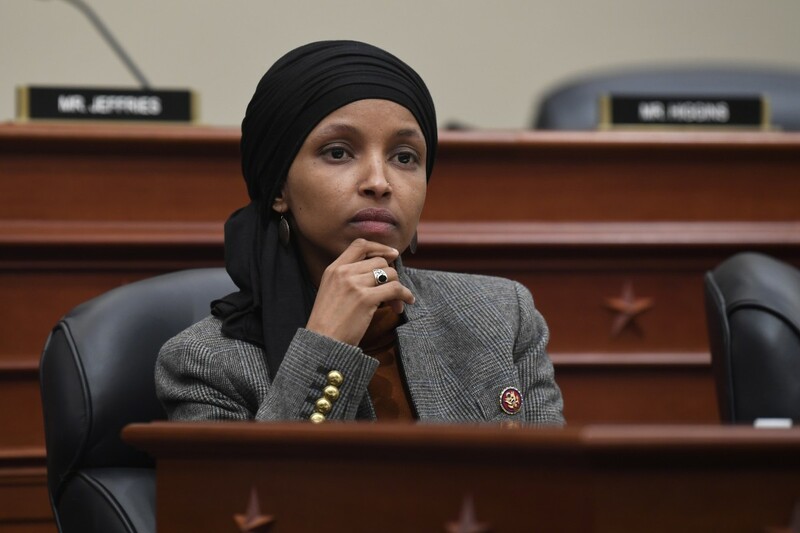 The poster, allegedly set up with the blessing of members of the GOP, showed an image of the Twin Towers during the attacks, with the text “’Never forget – You said…” above an image of Rep. Omar, the first of two Muslim women to be voted into Congress. Underneath, it read “I am the proof – You have forgotten.” The woman who set up the poster was seen in a t-shirt representing ACT! For America a known anti-Muslim, pro-Trump organization. The poster sparked a heated debate that spilled into the chamber of the House of Delegates. Irritated by the incident in the rotunda, Del. Mike Caputo (D-Marion) admitted to kicking open the chamber’s entrance, injuring the doorkeeper who held the door shut during the daily prayer and pledge of allegiance. After meeting privately with the Republican caucus and House Speaker Roger Hanshaw, Caputo has been removed from all of his committee assignments, including his positions on the Energy, Industry and Labor, and House Rules committees, for the rest of the legislative session. However, many Democrats have referred to Caputo’s punishment as a possible double standard following the lack of response to Delegate Eric Porterfield’s remarks during this legislative session. Porterfield (R-Mercer) made many homophobic remarks, including comparing the LGBTQ+ community to the Ku Klux Klan and saying he would “see if [his kids] can swim” if they came out as gay. Despite receiving much backlash and many calls for his resignation, Porterfield has not faced the same consequences that Caputo has. By the end of “GOP Day,” Sergeant at Arms Anne Lieberman submitted a letter of resignation to the House following allegations that she referred to all Muslims as “terrorists,” although she denies all allegations. This fine line has been a hotly discussed topic throughout Appalachia given recent hate crimes in the region. Rabbi Victor Urecki of B’Nai Jacob Synagogue in Charleston has been very vocal against public hate speech in the local community, especially in the aftermath of the Pittsburgh, Pennsylvania, synagogue shooting. He believes that rather than normalizing these attacks, people should instead “weaponize goodness”. “Right now, in the legislature, we have a tendency to weaponize evil acts and try to take those things that doesn’t [sic] represent West Virginia and try to legislate those things,” Urecki said to West Virginia Public Broadcasting. Other faith leaders have spoken out too in favor of mindful tactics to quiet hate speech. Father Brian O’Donnell, director of the Catholic Conference of West Virginia, believes the best tactic to fight prejudice and bigotry is to better educate those outside of the Muslim community what those communities really look like. Barazi hopes that West Virginia’s government officials will begin to set a better example for the state’s residents.